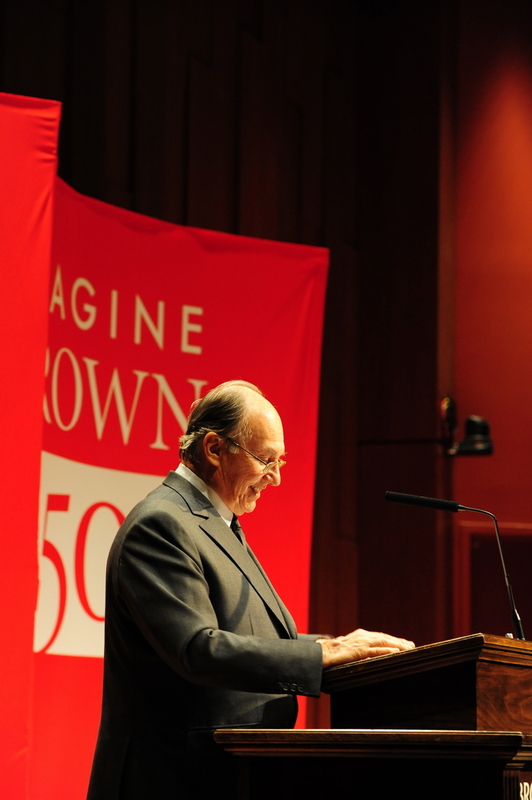 His Highness the Aga Khan visited Brown at the invitation of University President Christina Paxson. His Ogden Lecture was part of the school’s 250th anniversary celebrations. 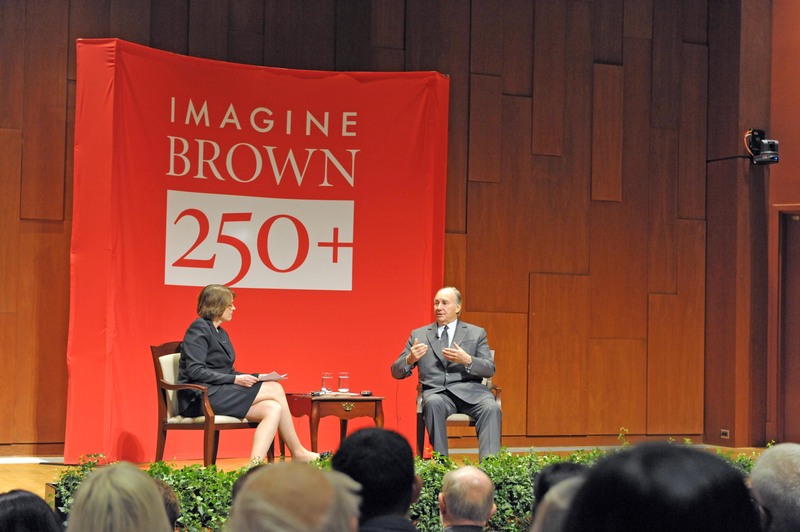 His Highness the Aga Khan and Brown President Christine Paxson engage in an on-stage conversation following the Aga Khan’s address. 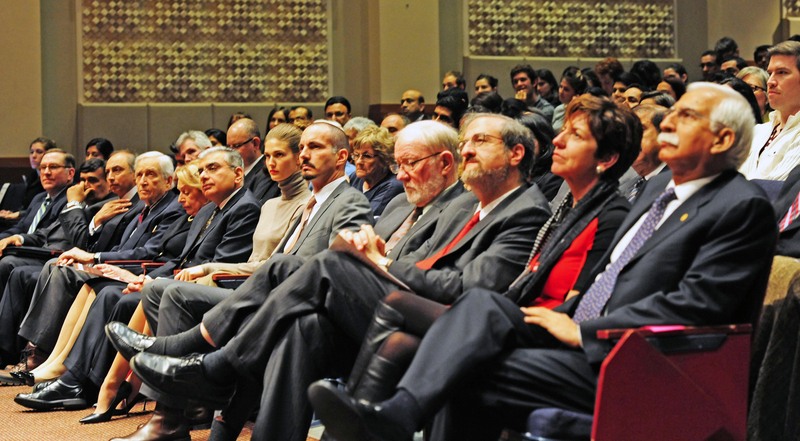 Prince Rahim Aga Khan and his wife Princess Salwa were among the distinguished audience members that included leaders from AKDN and Brown University. 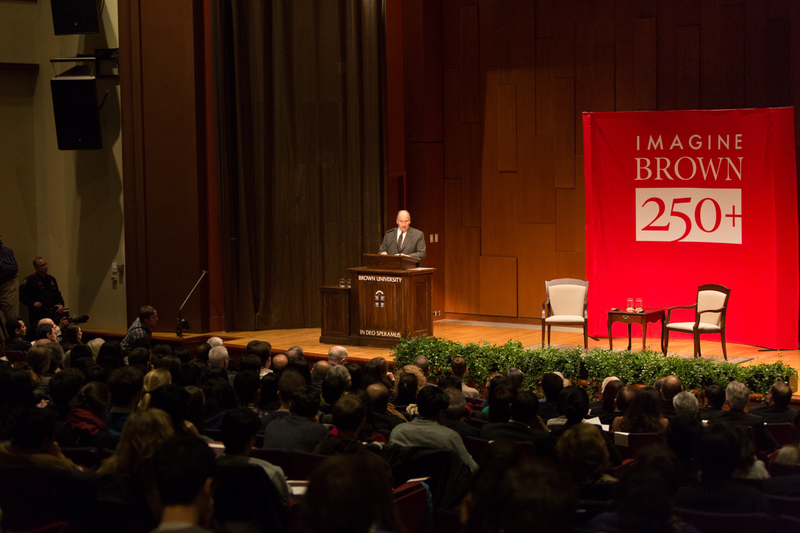 His Highness the Aga Khan delivers an Ogden lecture titled "Modern governance in a more complex world: Challenges and responses" at Brown University. 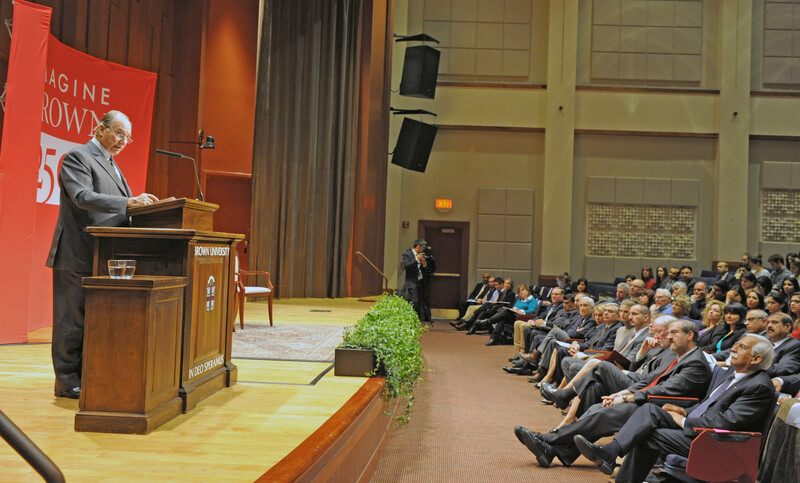 Providence, Rhode Island, USA, 10 March 2014 - His Highness the Aga Khan visited Brown at the invitation of University President Christina Paxson. His Ogden Lecture was part of the school’s 250th anniversary celebrations.